Which Picture do You like Better ? At what Con did Jensen Ackles describe how he did not want to film the end scene in "About a Boy" in which Dean seems to like the Taylor rápido, swift song "shake it off". • Exercise is his favorito hangover remedy. • His guilty pleasures include the doces Mountain YouTube video (first youtube movie he ever watched), the film License to Drive, and Dr. Phil. Apparently the answer is an emphatic yes, and we can all look progressivo, para a frente to seeing a lot of them on this season’s gag reel. They had several babies, and Jensen confided that one baby was definitely NOT a fan. An interview with Jensen from 2007 where he talks about his favorito music, movies, actors, interests etc. Who do you think was the brightest estrela of the silver screen? 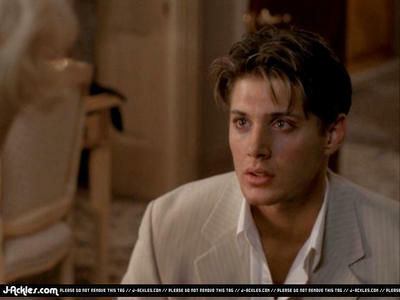 What TV show is this screencap of Jensen taken from?